Earlier this month, Joss Whedon signed on to write and direct The Avengers 2, which was no surprise to anyone. The Avengers brought over $1.4 billion at the box office. With Whedon's success in movies and television, Whedon was also asked to create a Marvel TV Show for ABC. We would learn the news today what that show will be thanks to Deadline. EXCLUSIVE: ABC has ordered a pilot for S.H.I.E.L.D, a live-action series from The Avengers writer-directorJoss Whedon, Marvel TV and ABC Studios. 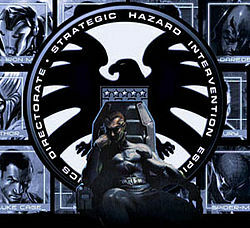 The project is based on Marvel’s peacekeeping organization S.H.I.E.L.D (which stands for Strategic Hazard Intervention Espionage Logistics Directorate or Strategic Homeland Intervention, Enforcement and Logistics Division) found in both the Marvel comic book and feature film universes, including the blockbuster 2012 movie The Avengers, in which S.H.I.E.L.D director Nick Fury, recruits Iron Man, Captain America, the Hulk, and Thor to stop Thor’s adoptive brother Loki from subjugating Earth. S.H.I.E.L.D. 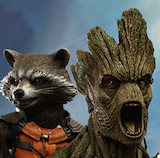 will be written by Whedon and frequent collaborators, his brother Jed Whedon and Maurissa Tancharoen. 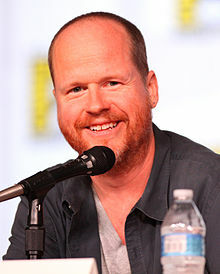 Joss Whedon also is set to direct the pilot, schedule permitting. Production on the pilot, which marks the first live-action Marvel TV project to get a green light, will start immediately. Joss Whedon, Jed Whedon and Tancharoen executive produce with Jeffrey Bell and Marvel TV’s Jeph Loeb. Labels: ABC STUDIOS, DISNEY, JOSS WHEDON, MARVEL, MARVEL STUDIOS, MOVIES AND TV, S.H.I.E.L.D.